What is Algenist Genius Liquid Collagen? Algenist Genius Liquid Collagen is created by Algenist, a skin care company which formulates solutions that harness the power of microalgae to visibly transform the skin within just 10 days. What is Algenist Genius Liquid Collagen ? Algenist Genius Liquid Collagen – Does It Really Work? What are the Ingredients in Algenist Genius Liquid Collagen ? As state by manufacturer, Algenist Genius Liquid Collagen, available as a 30 ml pump bottle sold at a price of US $115, is the first ever, plant-based collagen serum that can bring back the resilience and bounce of the skin. However it cause redness or rash on applied area. Algenist Genius Liquid Collagen–Does It Really Work? Boosts the resiliency and bounce of sagging and lifeless skin. Plumps and lifts the skin. 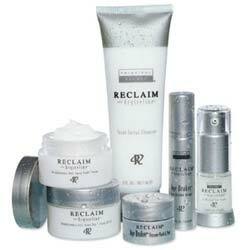 Reduces appearance of anti-aging signs, like wrinkles and fine lines. 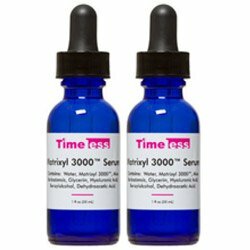 So how effective Is this serum? We will find out about that in this Algenist Genius Liquid Collagen review. What are the Ingredients in Algenist Genius Liquid Collagen? Plant-Based Collagen: A revolutionary agent that was created by binding together the fibers of wheat, soy and corn proteins. It contains amino acids that mimic the structure of collagen allowing it to work exactly the collagen that has been derived from animals. This ingredient can store the elasticity, plumpness, and youthfulness of the skin. Butylene Glycol: Preservative that prevents products from drying out.However it may cause a rash around the eyes or skin irritation. Amino Acids: They provide the skin with building blocks for strengthening its matrix and making it more resilient against damage. 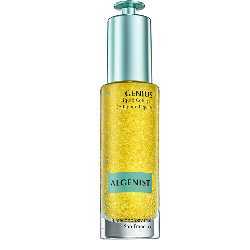 How To Apply Algenist Genius Liquid Collagen? Remove the dropper from the bottle then fully push the dropper for a few times. Bring back the dropper to the bottle while still holding down the button. After that, release the button and let the dropper be filled up. Push down the dropper to dispense the serum. Apply the serum to the neck, face, and chest after toning and cleansing the skin. Make sure that you have fully dried the skin before applying it. 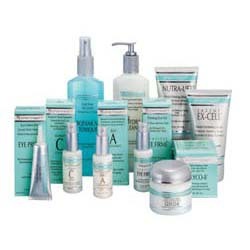 The product is formulated without binders, fillers, GMO, triclosan, mineral oil and synthetic dyes. Based on customer reviews this serum deeply replenished and conditioned the skin within 10 days but may causes rash on applied area or irritation. According to review it strengthened the skin matrix and brought back the elasticity and bounce in their skin. The serum has a wrong packaging because it contains light-sensitive ingredients but is stored in a clear bottle. It contains fragrance and other fragrant chemicals which may cause unwanted effects. The serum contains light-sensitive chemicals so it must be stored away from the light. This formula contains Butylene glycol which causes skin rash or irritation. Does Algenist Genius Liquid Collagen Have Any Side Effects? Skin dryness and allergic reaction due to the fragrance content and the presence of the fragrant chemical limonene. According to Material Safety Data Sheet, phenoxyethanol may cause lung and skin irritation. With prolonged use, it may also be toxic to other parts of the body like the nervous system, kidney, and lungs. Algenist Genius Liquid Collagen is a one of the best skin tightening collagen revolutionary product for the vegan industry. It has plenty of ingredients that can restore the elasticity and plumpness of the skin. However, the presence of other harmful chemicals may contradict this positive effect. This product offers 30 days return policy.